Clean your stove after you cook, whether it’s a range, whirlpool, or stovetop. Heavy duty polish will make the surface shine right out of the bottle. Wipe away any liquid spills or loose food particles. Shake bottle then apply a quarter-sized amount to the cooktop surface. Clean using the scrubbing pad until stains are no longer visible. Buff with a dry paper towel or microfiber to shine. Check out our post on How to Clean a Glass Cooktop. 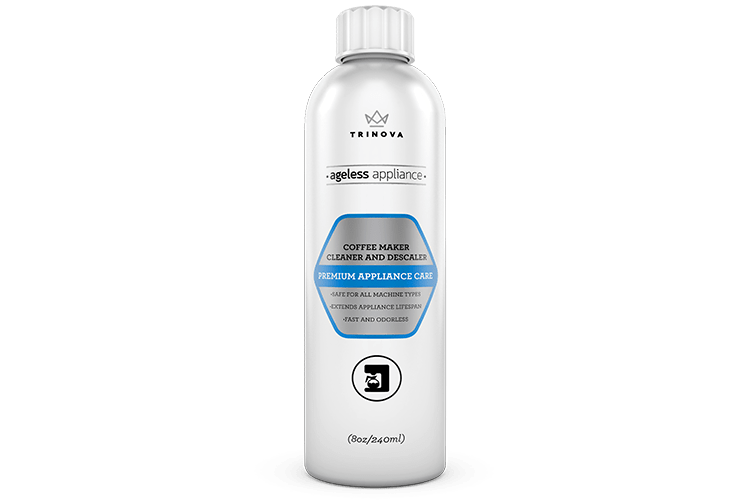 TriNova® Cooktop Cleaner is rated 5.0 out of 5 by 5. 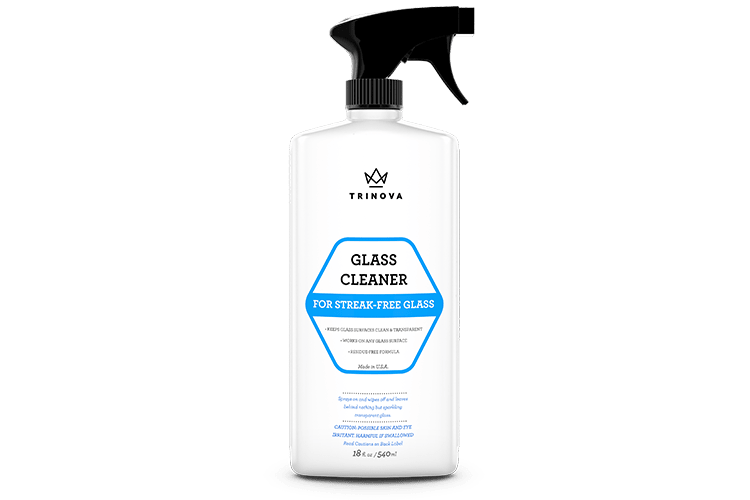 Rated 5 out of 5 by Maria from Great cleaner So i tried my free sample from trinova and i was really amazed with the results. 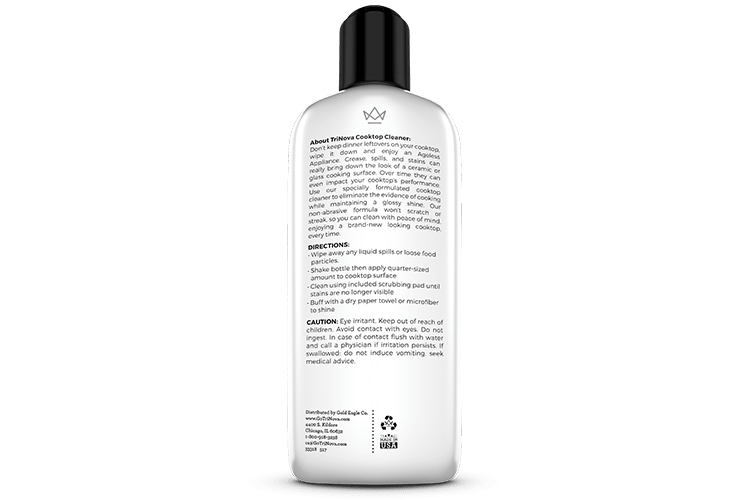 I have tried other cleansers for my cooktop stove and none really work. Other products only clean some stains but not all of them like burnt on food. 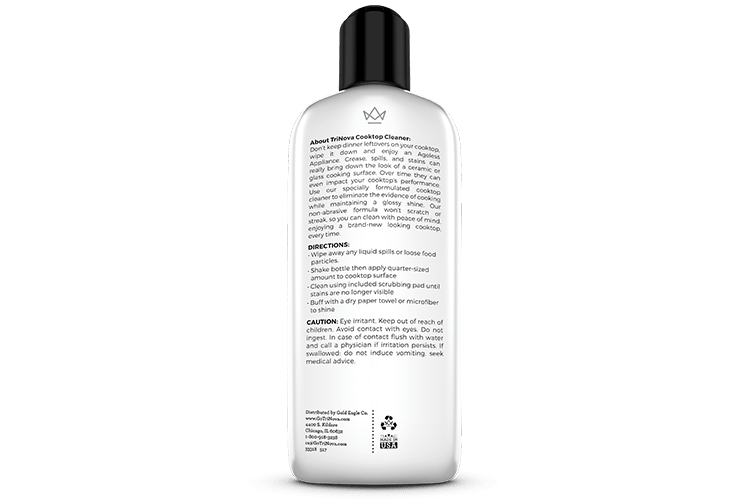 This one one is just amazing defenitely will keep this brand in my life because its so effective and the sponge they provide is even better. I finally have a sparkling clean cooktop stove really recommend this product to other people. Rated 5 out of 5 by Marian Ramos from WOW Does what It says It Does I was so happy to try my free sample of Trinova Cooktop Cleaner with cleaning pads .I have teens cooking so it is a constant cleaning task.This product cleaned everything (stains and burnt on cook )easily.Just following the instructions and the using the pads,my stove looks like new I will continue to buy this product. This is the 3rd product I have tried and all have been quality cleans and good value for the money. 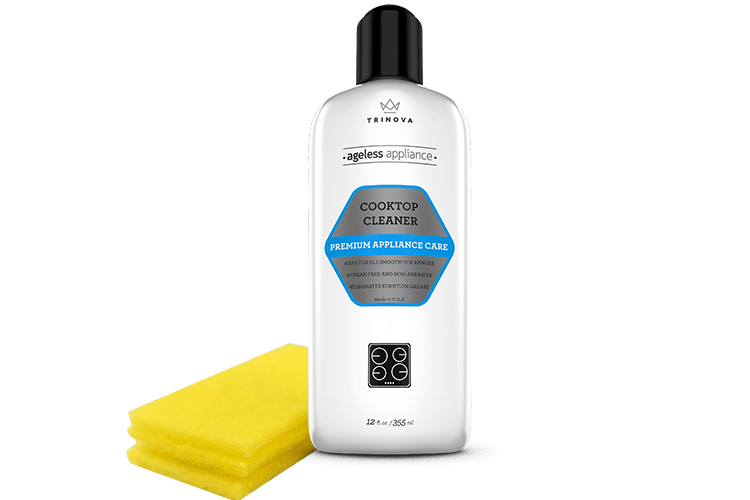 Rated 5 out of 5 by Robert Council from Cooktop Cleaner The Cooktop Cleaner works exceptionally well. It goes on smooth and removes all spots from the cooktop. It made the cooktop look like it was new again. I am thoroughly satisfied.